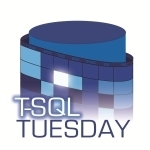 Thank you Andy Yun for hosting this month’s T-SQL Tuesday. Andy asks us to write about speaking which is a bit apropos because like Andy I got to speak the PASS Summit this year. If you have visited any post on this site, you’ll realize two things very quickly. (1) I love writing about SQL Server and (2) I like drawing. 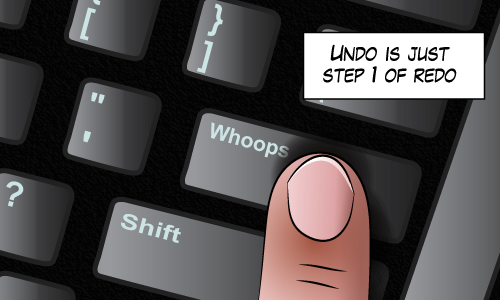 When doing either of those things, I rely heavily on the undo button. Whether it’s Ctrl+Z or Backspace. It helps me be fearless. Fearless when drawing, fearless when writing. It helps me be perfect at the cost of efficiency – or at least as close to perfect as I want to be. But there’s no undo button when speaking. Speaking is a kind of performance and I think I get hung up on that which makes me nervous. So this post then is kind of a narrative essay of my experience speaking at the PASS Summit. Back in January, I set a goal for myself, write once a week and speak once a month. This meant looking for places to speak. So when the call PASS Summit call for speakers came around I decided to apply. I read two or three blog posts on what makes a compelling abstract and followed most of the advice. The piece of advice I followed most closely was “talk about what you know”. So I signed up with one abstract (only one) on a topic near and dear to my heart, SQL Server concurrency. The thing I knew I had going for me was that I live this topic. At work we’ve successfully refactored a legacy system that has handled a peak load of over 50,000 transactions per second (And that’s without Hekaton). Most of the talk includes lessons we’ve learned and things I wish I knew earlier. So I got accepted. I have to describe the experience of getting accepted, because the notification comes via email and is nothing like a college letter. College acceptance letters usually start with words like “Congratulations”, or “I am pleased to inform…”. While College rejection letters start with “We regret” or “Unfortunately”. Well, the letter from PASS is nothing like that. It’s a form letter where they introduce definitions of Accepted/Alternate/Not Accepted. And then 250 words later (scroll scroll scroll on my phone) I see a tiny word beside my session title: “accepted”. That was celebration time. Do you know when a rookie manages to get a hit at their first at bat in the majors? For a few minutes at least, they’re batting a thousand. That’s me right now. I realize how fortunate that makes me. So a week before the summit, I hopped onto the speaker orientation conference call where Allan White tells us about which rooms are being recorded. He mentions one room which is set up for PASS TV. Room 6E. I checked the schedule and found my name. Now to check the room, (scroll, scroll, scroll) 6E Gulp! In the end, the room was a blessing and a curse. It was huge. I figure it could have held maybe 1000 people. There’s no way that was going to be full on the second last session right after lunch on a Friday afternoon! And although the audience was probably the largest audience I’ve ever had, it felt empty. The talk went well. It started out rocky but once I got into the SQL, I got more comfortable. I had friends in the audience and I really appreciated their presence. The questions after were great. One lesson I’m taking for next time is to end maybe five or ten minutes early so I’m not in such a rush to get off the stage. There were many people who were waiting to ask me a question that never got a chance to. It was a good experience and I want to do more of it. That means more practice. I’m double lucky because this week, I get to give the talk again for work! D2L is hosting an internal conference and I’m excited to deliver it to the home team. Look for more talks in the near future.